This is just a random collection of general pictures since the formation of the association in 1992. 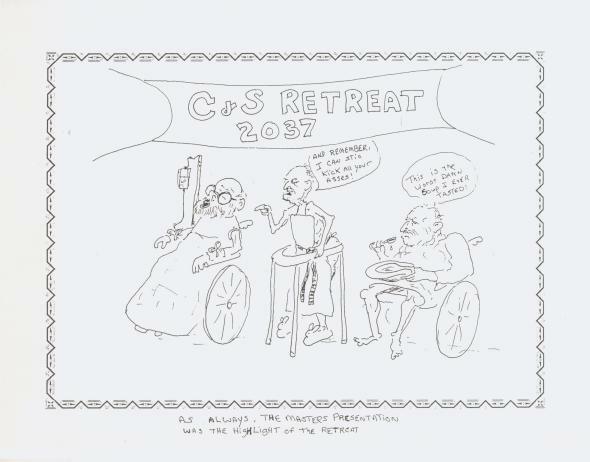 Supposedly in 2037: Grandmaster Paul Dusenbery, Grandmaster Peter Rose, and Grandmaster David Landers still at it. This is Grandmaster David Landers at his best! He drew this on my white board at the first C&S Self Defense Association Disciple Retreat in 1992. 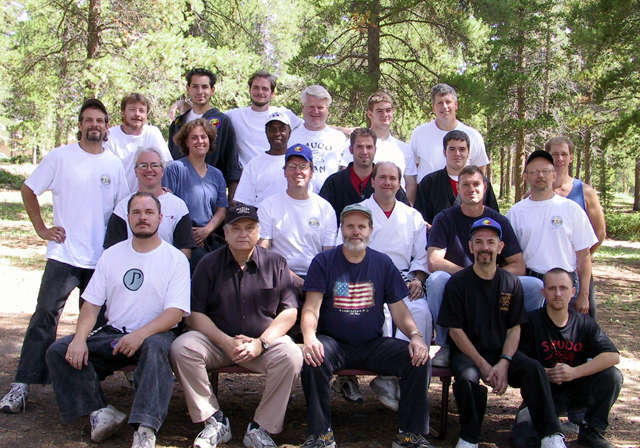 The caption under the picture says: "As always, the Master's presentation was the highlight of the retreat." Grandmaster Rose - pointing at Grandmaster Dusenbery shrills: "And REMEMBER, I can still kick all your asses!" while Grandmaster Landers mumbles: "This is the worst damn soup I ever tasted..."
Grandmaster Rose and a few of his local disciples gathered in the beautiful White Mountains of New Hampshire the weekend of November 8th, 2002. Retreat was finalized late due to concerns about scheduling and many disciples having prior committments. Rather than cancelling or putting off until the weather in the Norteast turned really tough, Grandmaster felt he would hold the retreat anyway. Hopefully those who were unable to attend will be able to come out and vist at some other time. We'll try this again next year! 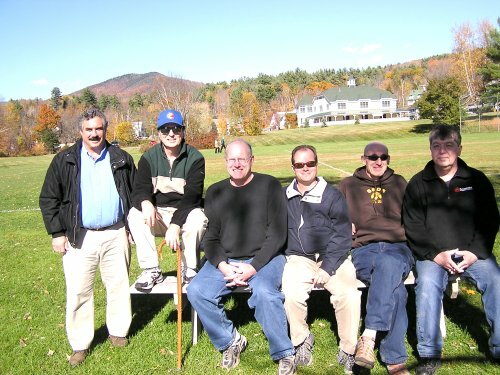 Grandmaster Peter Rose and some of his disciples at his annual disciple retreat October 2006 up in the beautiful White Mountains of New Hampshire. Left to right - 2nd Degree Black Belt Nidan Scott Williams of the Red Leaf Karate Club, North Berwick, ME, Grandmaster Rose, 3rd Degree Black Belt Sandan James Nancarrow of the Northwood School of Self Defense, Northwood, NH, 3rd Degree Black Belt Sandan Tim House of the Tai Chin Dojo, Portsmouth, NH, 4th Degree Black Belt Yondan Russ Jones of the Sachem Self Defense School, Laconia, NH, and 2nd Degree Black Belt Nidan Rick Downs from the Rose School of Karate. 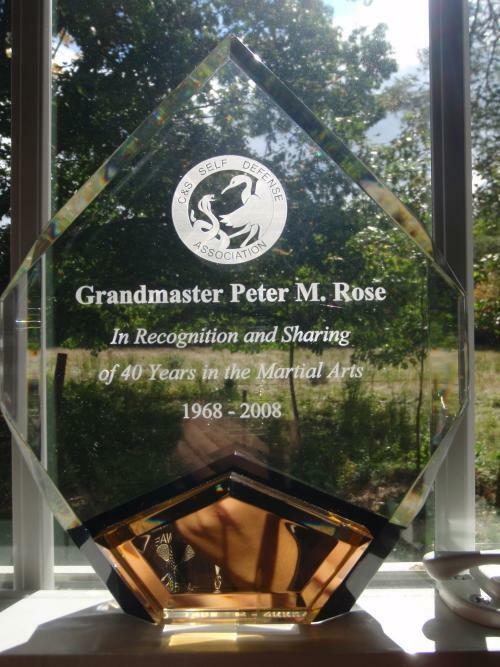 At dinner Saturday night at my 2008 Disciple Retreat, I was presented with a 40 years in the martial arts plaque from all C&S Self Defense Association disciples. It is a truly magnificent tribute, and one which means more to me than anyone could imagine. My deepest thanks to all for your continued participation in our art. The following email that I sent out to everone expresses my feelings best, I think. Cancer benefit tourney April of 2011 held in Gilmanton put on by Georghan Verrigan's White Tiger School that our Yondan Russ Jones Sachem club attended. Yondan opened the entire tournament with Wo Kon Ich. Scott, Andrew and Dave Baxter also did forms. Geoff did one of his Goju forms and also sparred. He got 2nd place in both. Scott got 4th for Bassai. All in all it was an eye opening experience. I may start a tournament team for young adults. 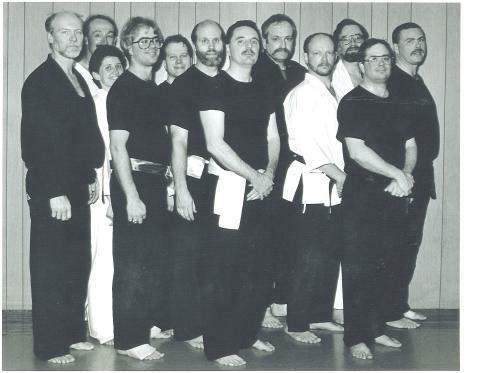 From left to right: Dave Baxter, Andrew Mozier, Yondan Russ Jones, Scott Plessner, and Geoff Nixon. Pending Black Belt Exams 08/07/2011 for Sachem Self Defense students Scott Plessner and Richard Mozier Jr., and Rose School of Karate student Brian Serven. 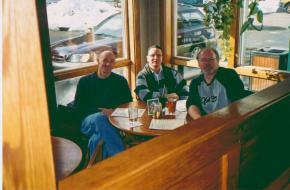 From left to right: Scott Plessner, Richard Mozier, and Brian Serven. 2012 Grandmaster Rose Disciple Retreat October 12, 2012, Dover, NH. 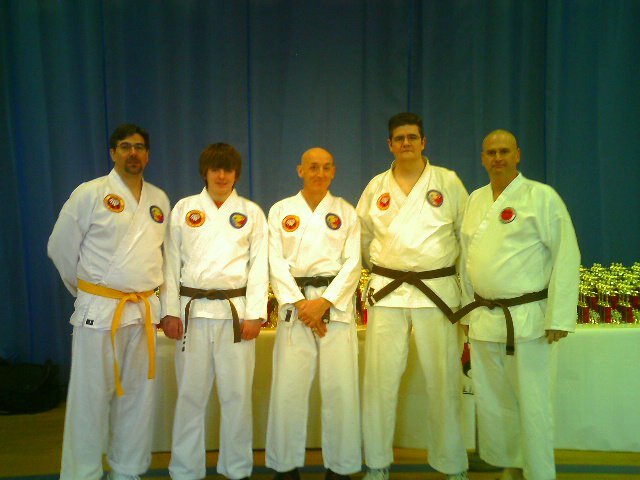 From left to right: 4th Degree Black Belt Carl Parker, 3rd Degree Black Belt Richard Downs, 4th Degree Black Belt Tim House, 3rd Degree Black Belt Scott Williams, 4th Degree Black Belt James Nancarrow, 9th Degree Black Belt Grandmaster Peter Rose, 4th Degree Black Belt Russ Jones. 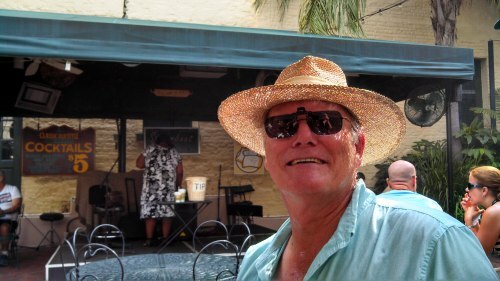 Master James Nancarrow relaxing in retirement, Altamonte Springs, FL 08/01/2013.